When business requires a trip to Portsmouth, NH, get more for your money at the Quality Inn hotel. We are near the Naval Shipyard and Portsmouth International Airport at Pease. 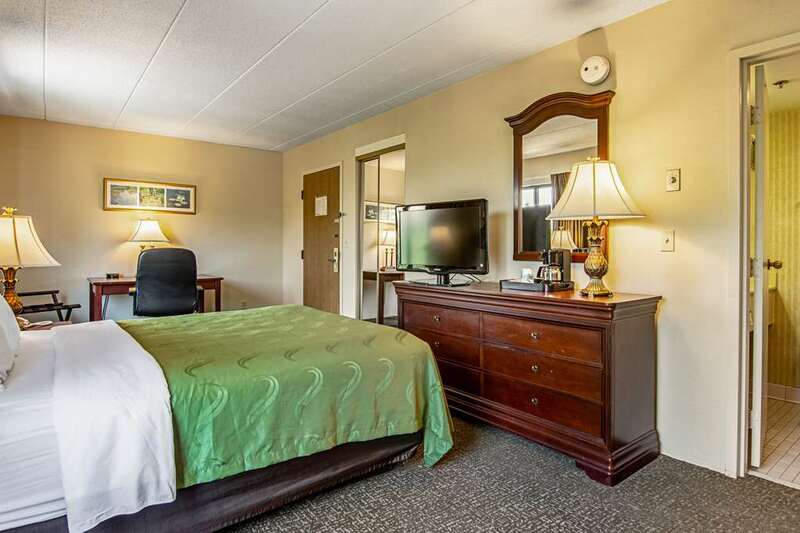 Each comfortable room is furnished with a TV, hair dryer, coffee maker, microwave and refrigerator. Hotel amenities include free WiFi, hot breakfast, fitness center, indoor heated lap pool and laundry facilities. Also, earn rewards including free nights and gift cards with our Choice Privileges Rewards program.